Show them where you are most at home - In the kitchen! Our Cooks Do It In The Kitchen Shirts & sweatshirts make great gifts. 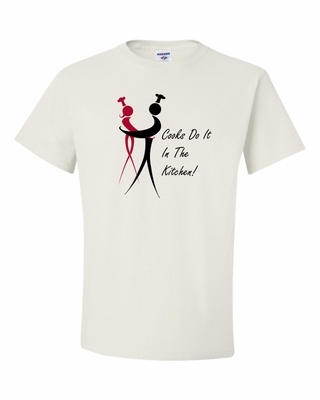 Remember� you found the Cooks Do It In The Kitchen Shirts at TShirtHub.com, where high quality came at a low price.